More than 50 years ago, Max Pearlman founded a small steel fabricating company. The company expanded and became a large user of abrasive products. With the demand for consistently high quality, cost effective abrasives on the rise, the Pearlman family recognized that the industry was ready for a customer driven abrasive distributor. Using this philosophy, Pearl has expanded from a small family enterprise into an international corporation selling coated and bonded abrasives, diamond superabrasives and equipment throughout North, Central and South America. In 1968, The Pearl Abrasive Company was founded as a wholly owned subsidiary of the family run Pearlman Corporation. In the 1970’s, Pearl set out to develop a complete line of innovative abrasive products. Our commitment to innovation allowed us to be the first to develop and introduce the Maxi Disc™ Radial Flap Disc and the reinforced Pearl Flex Wheel. In 1980, Pearl quickly established itself as an industry leader in the field of high-tech diamond blades. 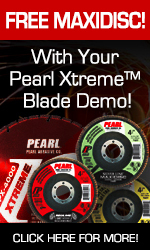 Pearl was the first company to introduce continuous rim dry cutting diamond blades. The patented wave-shaped core, reinforced diamond matrix and Direct Sintering Technology (DST™) of the Pearl Super Dry Turbo Series set the industry standard for extraordinary performance and exceptional value. In 1993, the market was in need of a new product for surface and floor preparation. Pearl listened, invented and introduced the Hexpin® Surface Preparation System, a compact, user friendly and cost effective floor preparation system utilizing diamond and carbide pins as well as a variety of florr preparation attachments. Whether the job requires grinding, sanding, polishing or coating removal on concrete, the professionals use the Hexpin® System. In 1997, Pearl introduced the VX Series Tile Saws. A tile saw that was “lightweight not light duty and made big cuts.” We now have tile, rail and masonry saws. We continue to expand and improve this important division of the company. Pearl Abrasive Company is committed to innovation, quality and consistency as well as providing the best possible service to our customers. Only genuine PEARL professional products can provide the level of performance and the official "Pearl Seal of Quality" a true professional demands. Professionals all across the country look to Pearl Abrasive Company for a full line of technologically advanced abrasives and diamond products. Pearl professional products also include our patented Hexpin® Surface Preparation equipment, tile saws, masonry saws, concrete saws, core drill rigs and dust containment systems. 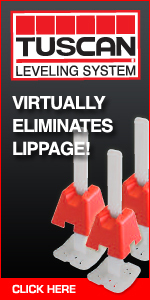 In addition, we offer solutions for the tile and masonry contractor with the Tuscan Leveling System®, Smart Spacer™ and Roto-Wedge Spacer™. We provide fast delivery and friendly service from our strategically located and fully stocked warehouses throughout North America.